I have it straight from the developer that Dying Light's DLC The Following will be on Linux, after I saw reports and speculation that it wouldn't be. The price is also set to rise, so you may want to pickup the season pass soon due to how big it is. @gamingonlinux it will be on Linux. Don't believe what others are saying. It's all lies. Over the past weeks Dying Light: The Following has almost reached its final stage: main quests, side quests, new skills, and driving challenges are ready. We now are moving into the polishing period. Looking at it, it’s clear how big the expansion pack has grown – it could be a stand-alone title, but since it would mean a launch delay, we decided against it. Due to the increased scale of the project, we needed to revise the pricing that we announced back in August, and so we want to let you know that Dying Light: The Following will be priced at $19,99. As promised back in August, our expansion will still be free for all Dying Light Season Pass holders. However since the Season Pass will now include this bigger-than-anticipated addition, we needed to adjust the price accordingly. Starting December 8th 2015, the Season Pass will be sold at $29,99. We didn’t want this to come as a surprise to you, so we’re announcing it in advance. This price change will not affect players who already own the Season Pass. So if you're looking forward to Dying Light: The Following, you still have time to get the whole Season Pass package, including the expansion at only $19,99. Just remember to do it before Dec 8th. 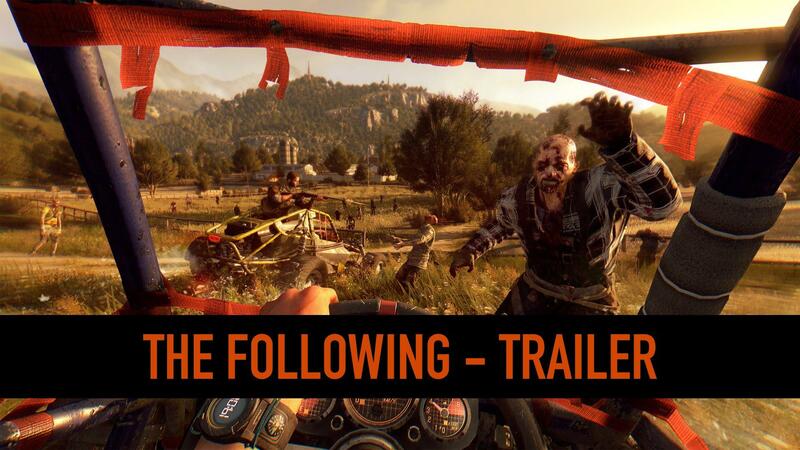 We’ve got some cool reveals about what's in Dying Light: The Following and we'll be sharing them with you really soon, so stay tuned! Looks like I need to pickup the season pass soon to make sure I can cover it. Dying Light still has one of the best open-world single player experiences on Linux I've played to date, even with the issues of crashes and graphical bugs. The end may have been a bit crap, but the rest of the game made up for it with me. I do hope they do some more work on the Linux version in time for the release of the DLC, or even after, just something to fix it up some more. It does at least have a demo now, so people can check it before they buy it. I ended up passing on Dying Light because of the uncertain issues it was having post-launch. I'll take this as a sign of good faith towards Linux and will pick it up (probably during the Winter sale since the current one tapped me out :p). Keizgon I ended up passing on Dying Light because of the uncertain issues it was having post-launch. I'll take this as a sign of good faith towards Linux and will pick it up (probably during the Winter sale since the current one tapped me out :p). isn’t what this article is saying is that in all probability by the winter sale it will actually be more expensive ? Also what is the performance like now ? I have a 760 and a fairly average quad core CPU, am I restricted to running low,low,low settings ? Most my other games run on almost the highest settings. So will it be out on the 8th, or are they raising prices on the 8th because that's the start of the Steam winter sale, or both? Either way yes, please put some more optimization effort into the OpenGL/Linux version, devs! mr-egg isn’t what this article is saying is that in all probability by the winter sale it will actually be more expensive ? I'm not sure. I mean if that's the case, then I won't be able to afford it. I thought it was for the season pass (something I never buy)? Or wouldn't they just add it as a DLC expansion? They're doing what a lot of scummy businesses do: raise the base price of their products so that the percentage discounts will be bigger. its why i have sat on the fence with this game. Its main price was too high when it came out and it didn’t deliver on performance or from reviews much difference from their previous effort. Its still an interesting title but for a year the price hasn’t dropped to properly decent levels you would expect for a "Meh, il give it a try" title .. now this new DLC and season pass ..
That said probably for at least another 6 months until the player base is sub 1500 this will probably be the only chance to net the new DLC and the Game for such a low price. Liam could you clarify, is this the NEW not yet released DLC packaged with the Full game for £13.50 / $18 ? This is the unreleased DLC. If you buy the season pass, you will get it. You will be able to buy the DLC by itself when it's released too. It's cheaper to buy the season pass right now. DL is not allowed in germany, so is the DLC. mr-egg Also what is the performance like now ? I have a 760 and a fairly average quad core CPU, am I restricted to running low,low,low settings ? Most my other games run on almost the highest settings. With a 760 and i7-4790, I'm running quite smoothly on high/high/high. Not sure what "average" means these days, but you can always download the free demo and test it out.